The main activity for this fun filled evening is the sampling of a variety of different kinds of seafood (with beer very reasonably priced at $3.00 each). Although parking will be free, the food is not expensive and can be tried from several different vendors operating at the event. 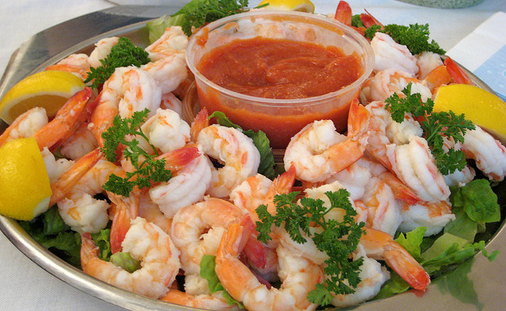 Seafood lovers will find that the Shrimp Blast Seafood Festival is a great way for families to get together and enjoy some of their favorite dishes. Events such as these usually cater for individuals of all ages, so it is no surprise that the children are at the top of everyone’s mind. Your kids can entertain themselves in a variety of inflatable play areas as they meet new friends. They can also have their faces painted to remind them of the special event. Parents, on the other hand, can hang out in front of the stage and enjoy Jeff Whitlow & The Old Barn Band, or the Judge Talford Band. Seafood is the highlight of the event, but what if someone in your group does not like seafood? They are in luck, because the organizers have made certain that there is something for everyone. There will be hamburgers and chicken finger baskets for those who prefer to avoid any kind of seafood. If you have been to one of these festivals before, chances are that you already know what to expect and you are simply back for more. The fact remains that many people who continue to participate in this Shrimp Blast Seafood Festival have nothing but good things to say about it and so will you. Grab the family and head down to the Von Braun Center, where the fun never stops and the music and shrimp only gets better as the evening wears on.